Planning to collect some hunting stuff such as rifles or shotguns? Choose the best shotgun in the market, and learn how to clean or maintain it in the easiest, most convenient, and fastest way possible. Shotguns are great investments for recreational activities. They also serve as protections for families living in secluded areas. Most of them are moderately priced so every individual of legal age could own a licensed shotgun. What are the aspects to consider when purchasing a shotgun? The weight, type, and fit are the most important things to consider. No one ever wants to utilize a shotgun that is too heavy to carry in forests or in shooting fields. Lightweight guns though tend to have heavy recoil. To own a gun conveniently, choose one with a barrel that is around twenty-eight inches. The fit or structure is quite similar in many shotgun types, but there are actually huge differences that could be seen among them. Here are the different types of shotguns based on their built or structure. This is a type of sporting rifle that are considered as traditional. It could be a side-by-side or over-and-under type of gun. It is highly reliable as a hunting gun because it is very easy to use and maintain. A lot of experienced hunters recommend it to novices because of its plain but operational features. This boasts of a large magazine and reduced recoil, so it can be utilized for multiple shots before reloading. It can fire up to five to seven shots. It is widely used by many cities and countries even if it only has one barrel and one choke. It is quite tedious to clean though, so one must be an expert or take all precautionary measures when cleaning the unit. It is quite similar to a semi-automatic, but it is less costly and safer to use compared to the latter. In terms of cleaning the unit, it also needs some expertise on cleaning its various parts to make it more durable or to make it last a long time. This literally means having just one barrel, so individuals need to make sure to aim at their targets accurately to shoot perfectly. 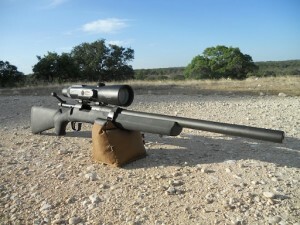 This is also great for training newbies in shooting or hunting since it is inexpensive and practical to utilize. Whether you are going to use your shotgun for recreational activity or home defense, it is necessary to learn how to clean it properly and safely. When a shotgun is maintained improperly, it won’t be able to function appropriately when needed. Just like any equipment or gadget, a shotgun or rifle can be rusty and old which can definitely affect its efficiency or performance. To make it brand new even after using it for a long time, clean it in the most efficient and effective way possible as well. Here are the most important steps to take note of when cleaning a rifle. Just make sure to do the cleaning on a well-ventilated area to comfortably accomplish the steps on how to clean a handgun. For a pump action shotgun, hold the firearm properly and safely. The muzzle must be pointed in a clear or safe direction where no one could be in front of it. Make it a point to keep your finger or hand away from the trigger as well. Then, press the bolt release that is located either on the front or back part of the trigger guard. Cycle or move the pump action until it is unloaded completely. For an auto-loading shotgun, remove the shells by pulling the bolt grip back and releasing it for many times. Make sure that the gun is also unloaded completely to make cleaning safe. Keep the shotgun separate from the ammunition while cleaning. To avoid shooting accidents at all cost, create a distance between the shotgun and the ammunitions. If possible, keep the ammunitions in a box or in a drawer while cleaning the main gun. Focus on the bolt part when cleaning. Stripping the gun from its various parts need not be done unless it has undergone a very intense and muddy action field. Open the bolts and wipe down all of the parts of the shotgun using a paper towel or cloth. Wipe the ejector and the chamber area efficiently. Some of the areas in the chamber could make a paper towel black or dark. This serves as a signal to everyone to clean or wipe it or focus on it more. Spray solvent on all dirty parts of the gun. Choose a solvent that is environment- and human-friendly, such as the M-Pro 7 gun cleaner. This product removes layers of dirt and embedded carbon easily, and it significantly cuts the time for cleaning different types of guns. Spray a liberal amount to make sure that every component of the weapon is efficiently cleaned. Leave the solvent spray in the gun for a few minutes. Let the solvent stay and dry a bit in the gun and mix with unburnt powder, carbon build-up and dirt. Use a brush to scrub the gun. Use soft bristles. Never use metal bristles as it will create friction and destroy the physical ruggedness of the weapon. Scrub every corner of the weapon, especially the hidden spots of the gun. After brushing the gun, wipe it using lint-free cloth. Wipe every part where you have sprayed solvent for many times until every does not turn your cloth dark. Use a pick to clean the chamber of the gun. Some corners of the chamber usually suffer from carbon or powder build-up, so use a pick that has a pointed structure. Clean the gun barrel using oil and solvent-soaked cloth. Move to the barrel part of the gun and clean it using a coat of oil. This prevents the barrel from oxidation or rusting. Put some oil on the parts that need lubrication as well such as the rails and the bolts. Avoid putting oil on the firing pin housing because it could prevent the gun from firing efficiently and smoothly. Wipe the whole gun and remove any excess oil. Oil can cause dirt build-up easily, so remove any excess oil. Wipe the various parts of the gun in one direction to make it easier for you to remember the parts that are already cleaned. This is one of the most common questions raised by handgun owners and shoppers. The frequency should actually depend on the type of gun you have and where do you usually use it. As different people use different guns for different reasons, there are different timeframes for cleaning this recreational and defensive weapon. Here is a simple but clear guide on how often should one clean a particular type of handgun. If the gun is always exposed to moisture, water, and other damaging elements, it has to be cleaned right after using it. Rain is unexpected, and you are still hunting with your friends. Do not ever forget to clean the gun right after using it even if it is made to be water-proof, fog-proof, or weather-proof as rainwater could clearly affect the overall built or structure and performance of the gun. Stainless materials are sensitive to moisture and this could lead to premature barrel wear. Guns used for target clays, punching holes in paper, or plinking can be cleaned every two to four months. These are light activities, so the reliability of the gun is not expected to be so high. Cleaning the gun may be done after two, three or four months or after at least four trips to the range lapse before cleaning it thoroughly and efficiently. For guns being utilized for personal defense, keep it clean, oiled and ready to go regularly. When you need to rely on your gun for personal defense, do intense cleaning on your gun regularly. It could be monthly or after using it for a few times or days in the field. A double action trigger is usually prone for carbon build-up. Using some oil is very important to make the cleaning effective and efficient. Make hunting a remarkable sport to unleash the competitiveness and adventurous mindset in you. Here are the most popular shotguns to add to your collection or to give to your loved ones. They can be utilized for different reasons or activities such as deer or waterfowl hunting, clay target shooting, and self-defense. It is the whole new version of shotgun that boasts of many amazing features such as a unique magazine cut-off in front of its trigger guard and its athletic handling and pointability. Individuals may choose from the sport synthetic camo, sport walnut, or sport synthetic design. The unit is also very easy to clean and inspect because of its smaller action springs. Many people utilize the unit for hunting ducks, geese and pheasants. With the best scope, it also works perfectly in wild forests or competitive deer hunting. This is an all around good shooter, and it is the mirror image version of the three inch Action gun. It is very reliable in any shooting or hunting activity, and it mainly designed for males because of its enhanced wood or fake grain feature. This is one of the affordable shotguns in 2017, as it only costs around five hundred dollars. It is integrated with a thirty inch barrel and thirteen inch length of pull. For youth clay target shooting, this is the most recommended shotgun to have. It is also designed with a soft Inflex recoil pad, so it is very convenient to utilize by both men and women. This features an oversized bolt handling, lengthened forcing cone, and paracord sling. It is great for waterfowl hunting, and it exudes a modern Italian design. It is also integrated with a triple threat choke tubes, so it can be utilized for long or continuous shooting. It is a semi-automatic handgun that could be utilized for a long time because of its durability and rugged structure. When choosing a handgun, consider the following factors. There are individuals who are more particular with design and structure of handguns in these recent times. They want one that is mechanically built with a high level of strength and durability. They also want one that appears elegant and cozy in fields. If you are planning to purchase a gun as a gift, assess the individual’s personality. Does he focus on too many details in things? Does he value brands and quality? Does he need it as an added collection? Get the gun that a person needs and wants, and not what is just popular or affordable. Guns are considered as dangerous weapons, especially if not kept and used properly. When purchasing a handgun or giving it as a gift, consider how it will be used. There are guns that are perfect or designed for clay target shooting. There are also handguns that are designed for long range shooting. Opt for a gun that can be utilized for your preferred activity. There are also multipurpose guns, and purchasing different scopes will make them functional in different types of shooting activities. Budget should still be considered as one of the most important factors in purchasing a handgun. Some guns may cost from around five hundred dollars or more. There are also cheaper units, but they are usually of older versions. Ask for recommendations from friends on the best and high-performing handguns so you could make the most of older versions and give your very best when joining hunting activities. For newer versions, they are also great investments and worth everyone’s money because they are definitely made with more improved features.